The incident happened on Yeld Road. Photo: Google Images. Police are appealing for witnesses after a woman was robbed while walking home from a pub in Bakewell. 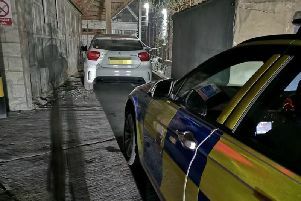 The victim was walking along Yeld Road at about 11.40pm on Friday, March 23 when she was shoved to the floor from behind. Her handbag, the strap of which was looped over her neck, was then grabbed and the contents – including a Samsung phone and cash – were stolen. The victim was left with bruising and was shaken up by the incident- but was not seriously injured. Officers want to hear from anyone who saw suspicious activity in the Yeld Road area around the time of the robbery. If you saw anything or know the person responsible, call 101 and quote reference 18000134095.